Nobody wants to deal with an emergency breakdown of an air conditioning system if they don’t have to – especially during the hot, steamy summer in Tampa, St.Petersburg and Clearwater. The best way to help avoid such an AC repair situation is to protect your home or business cooling system with regular routine air conditioning maintenance from Caldeco. 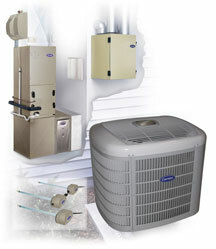 The average air conditioner in Florida runs about 2,500 hours a year. Can you imagine operating your car that much and not going for an oil change? An annual preventative maintenance plan with tune-up and cleaning will keep your system running at peak performance, lower utility bills, extend equipment life and prevent breakdowns. It can also ensure that your manufacturer’s warranty remains in effect since they usually require annual maintenance. Contact us today to learn more about the many benefits our Energy Savings Agreement.